You (Rao) have failed to keep your promise of giving Telangana a Dalit Chief Minister. 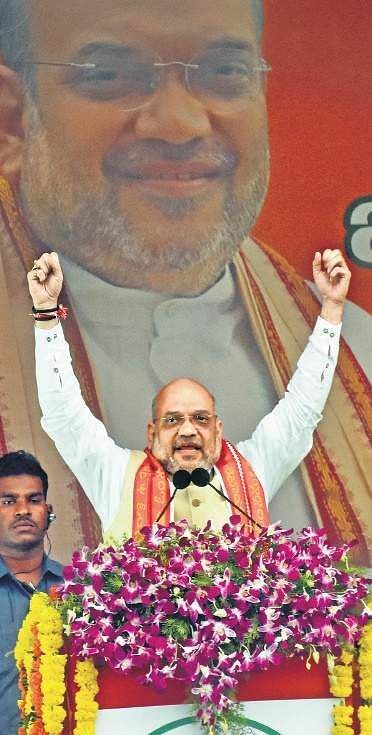 KARIMNAGAR/HYDERABAD: Projecting the BJP as the best alternative for disillusioned voters, party president Amit Shah during his second visit to the State in a month on Wednesday accused caretaker Chief Minster K Chandrasekhar Rao of nepotism. “You (Rao) have failed to keep your promise of giving Telangana a Dalit Chief Minister. 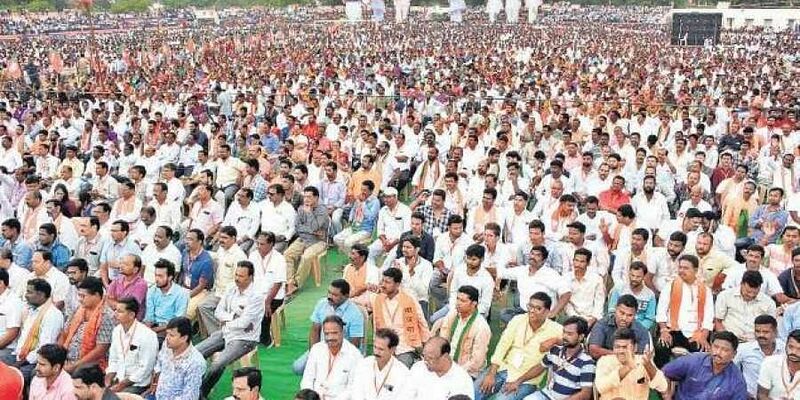 It is unlikely that you will let a Dalit head the State after you step down as you have set your eyes on making your son and daughter Chief Ministers,” Shah lashed out while addressing a massive public meeting at Ambedkar Grounds in Karimnagar and read out a list of 150 promises that Rao made before the 2014 elections, but reneged upon. “The martyrs of Telangana are asking you to come here to this grounds and tell them what happened to KCR’s promise of a job for every martyr’s family? 800 martyrs want to know when the promise will become a reality,” Shah thundered. The BJP leader also highlighted the pink party’s inability to keep its word on giving three acres of land to every SC family and jobs for unemployed youth. “It is deplorable that not a single lecturer’s post has been filled in the last four-and-a-half years. Students here are now teaching themselves,”Shah pointed out, bringing the people’s attention to the quality of education offered by the State. Playing to the voters’ Telangana sentiment, Shah said the Congress could not be an alternative to the TRS as it had failed to respect its own party workers. “Prime Minister Narendra Modi walked for 5 km when AB Vajpayee died, but when PV Narasimha Rao, a child of Telangana, passed away, no prominent leader of the Congress came to pay tributes. Mind you, this was when Sonia Gandhi was the president of the party and the Congress was in power,” Shah said. “The Congress and AP CM N Chandrababu Naidu’s alliance can’t face Owaisi’s AIMIM. It is only the BJP that can fight against them,” Shah quipped and lashed out at the TRS for indulging in “vote bank politics”. “The 13th Finance Commission allocated Rs​ 16,597 crore to Telangana, but under the 14th Finance Commission under Modi, Rs 1.15 lakh crore was given. Despite this, KCR’s government failed to keep its promises,” Shah alleged.